Covexis showcased its first in Asia on-demand GPS tracking solution at the EnterpriseIT 2013, held at the Marina Bay Sands. As the team geared up for their first exhibition at Asia’s largest integrated ICT event, visitors and exhibitors also caught a live demonstration of the latest FireAnts ODS (On-Demand Service). Covexis made its debut at the EnterpriseIT 2013 with the introduction of the latest on-demand GPS tracking solution for the consumer market. During the event, Covexis presented its leading-edge FireAnts ODS at The Discovery Lounge, a featured event held in the second year running, is fast being known as “The” highlight and attraction at the exhibition for the showcase of the latest innovations by the participating exhibitors. The on-demand GPS tracking solution aims to bring a customised experience to the consumer market. In this regard, the presentation focused on three key points the solution is built upon – simplicity, accessibility and information on-demand. 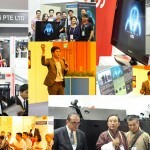 It was a rewarding experience to be a part of the 4-day exhibition held from 18 to 21 June 2013, concurrently with CommunicAsia, BroadcastAsia and SatComm, which attracted more than 35,000 international trade attendees. With the successful rollout of the event, Covexis also had an opportunity to gain insightful knowledge and experience of the convergence of technologies across the industries. Most importantly, the Covexis team received an overwhelming amount of anticipation and positive feedback from valued customers and visitors, all of which will greatly benefit the official launch of the product. Valued customers and on-lookers can expect to catch the official launch in the next few months, as the Covexis team works harder than ever to bring ODS, an On-Demand solution that delivers a personalised experience for the consumers. What’s with all the fuss about maps? Copyright © 2009 - 2016 Covexis Pte Ltd. All rights reserved.